Set during the Spanish Civil War of the 1930s and 1940s, the television adaptation follows young Spanish dressmaker-turned-spy Sira Quiroga from Madrid to many gorgeous locations in Tangier and Tetouan, then the capital of the Spanish Protectorate of Morocco. 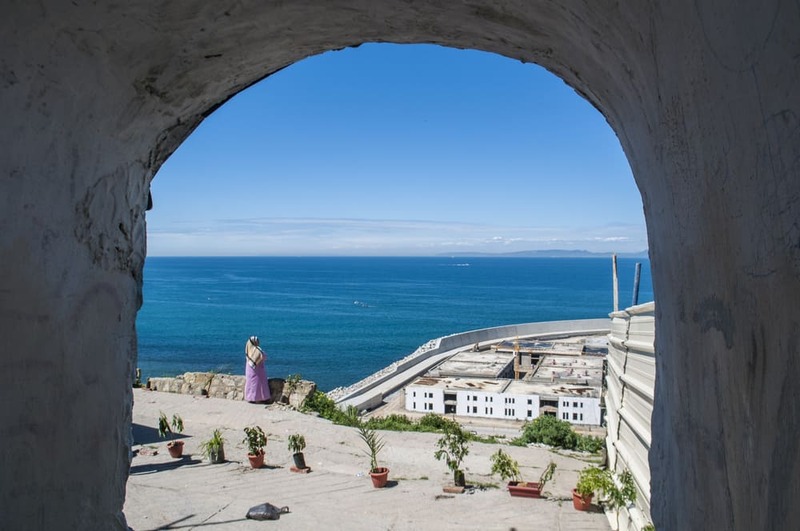 The show’s runaway success in Spain has spawned a number of themed tours in Spanish to northern Morocco, revitalizing tourism to Tangier and especially to relatively obscure Tetouan. If you’re a fan of The Time in Between, here’s how to follow in Sira Quiroga’s footsteps. Start your journey in the port of Tangier, where Sira arrives by ferry from Spain in search of a new life with her lover Ramiro Arribas. 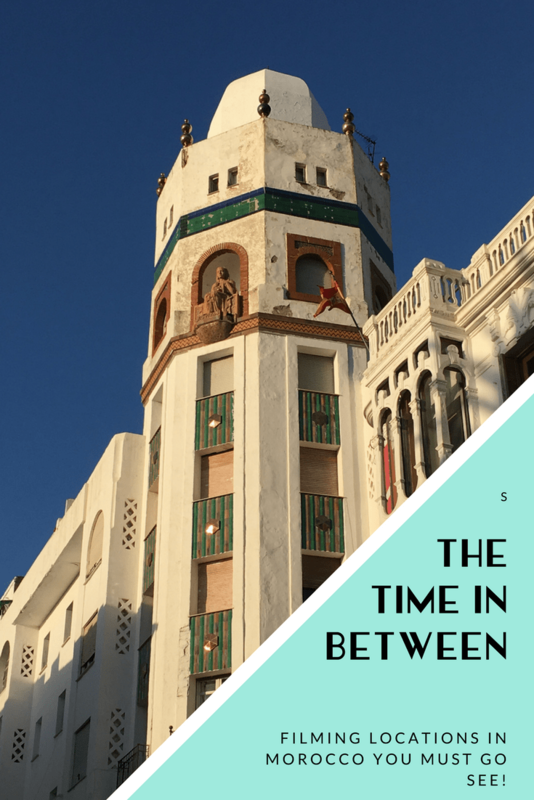 She takes Avenue Mohamed VI (formerly Avenida España), passing the old customs house, to the wonderful Hotel Continental, today a shadow of its former glory, but still worth a visit for its Moroccan-style lounges and panoramic Mediterranean views from the terrace. Savor a delicious mint tea at the legendary waterfront Café Hafa, where Ramiro and Sira pass many decadent hours with their bohemian friends. 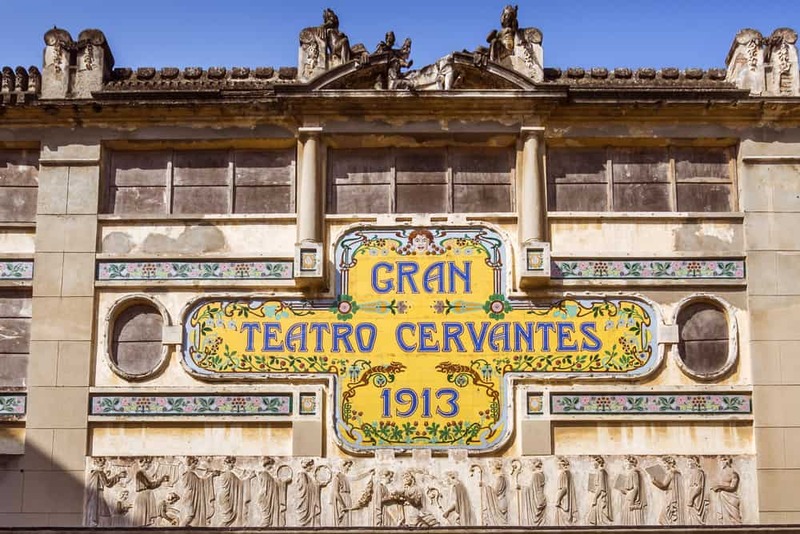 Stroll down the bustling Boulevard Pasteur, location of the iconic bookshop Librairie des Colonnes and the Art Deco Gran Teatro Cervantes, where the couple often attends performances. 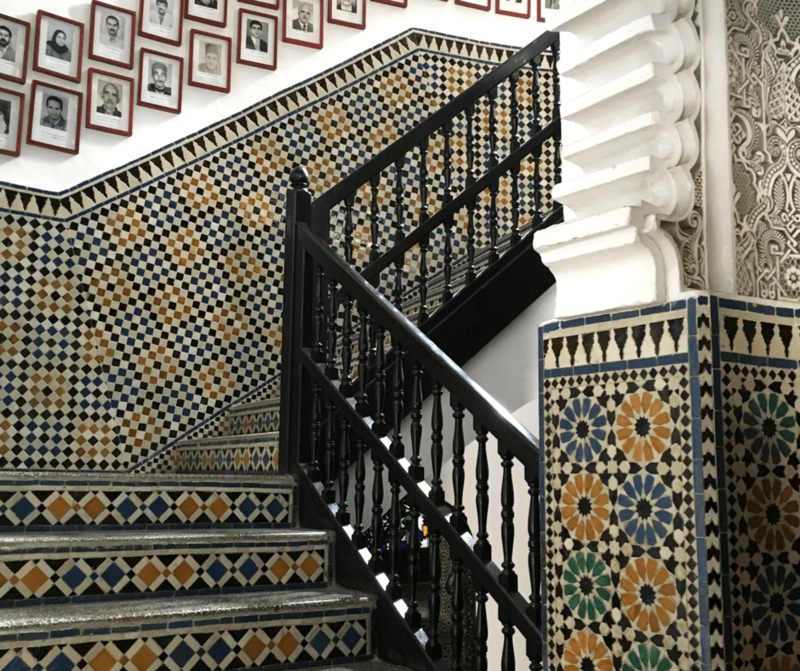 The Grand Socco, the atmospheric entrance to the medina, provides a romantic backdrop for Sira and Ramiro’s explorations of Tangier. Visit the Place de France and the Hotel Minzah, a former palace and favorite haunt of the story’s author María Dueñas. Over the years, the upscale hotel has played host to many celebrities, and The Time in Between’s cast stayed here during filming. In the series, Sira and her friends often meet for animated chats in the hotel’s famous piano bar. Tangier frequently serves as a stand-in for Tetouan on the show. In the Hasnouna neighborhood, the opulent Palace of Italian Institutions with its lovely garden was used as the house of Rosalinda Fox, English spy and lover of the High Commissioner, General Beigbeder. The Tetouan police station scenes were shot at Tangier’s Kasbah Museum. The historic Tangier American Legation south of the medina is where Hillgarth meets with Sira for the first time to train her on her new mission. Hotel Villa Josefine, a colonial mansion west of the city converted to a sumptuous five-star hotel, doubles for Tetouan’s Hotel Nacional. Continuing on the coast from Tangier past the Cap Spartel lighthouse, Sidi Kacem beach features in several of the show’s ocean-side scenes. 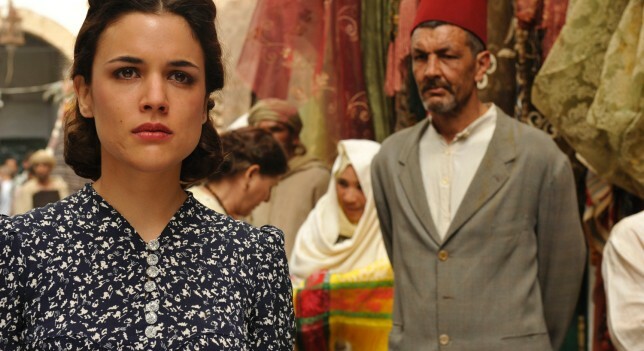 After Ramiro’s betrayal, Sira flees to Tetouan, where she establishes an exclusive dressmaking business. This remarkably well-preserved jewel of a city nestles at the foot of the Rif Mountains. Despite its charms, Tetouan attracts few international tourists. 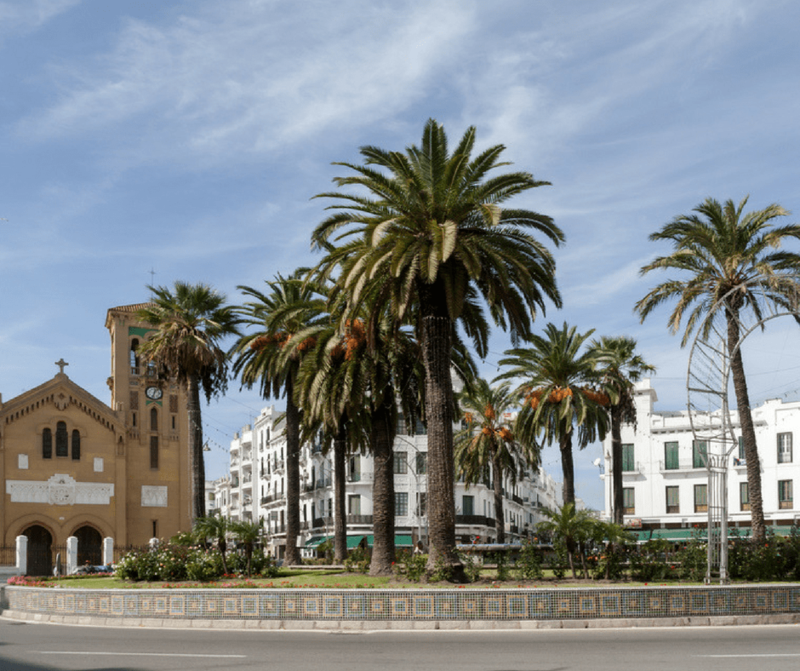 Many locations in Tetouan will appear familiar to The Time in Between fans, including quiet Hassan II Square, formerly the Plaza de España; the Bab er Rouah, the arched entrance to the Tetouan medina; and Tarrafin Street, a souk shaded by an attractive wooden lattice canopy. From Hassan II Square, head south to visit the Mellah, or Jewish quarter. Its picturesque main street, Luneta, home to many traditional shops, provides the location for Candelaria’s pension, Sira’s first home in Tetouan. At the end of the street you’ll find the Luneta Gate, leading to Cajigas Gardens and the train station, and serving as the arms smuggling route used by Sira. Near the Queen’s Gate is the magnificent Arts and Crafts School founded by the painter Bertuchi, where Sira goes in search of a sketch artist for her dressmaking business. Many street scenes were shot in the Spanish part of Tetouan, called El Ensanche (extension), particularly on the main avenue Mohammed V, formerly Avenida de la República. This avenue starts at Hassan II Square, crosses the Place Al-Jala, site of the Muley Abdelkader sanctuary, and passes the Phoenix building with its iconic statue of the mythical bird. This edifice contains the market where Sira shops with Candelaria for the furniture and decorations for her dressmaking shop, located in the nearby Instituto Cervantes. The Ensanche’s splendidly tiled post office also stands in for the Bank of Spain several times in the show. Returning to the coast by the Ceuta highway, you will pass Malalien’s former train station, today a popular wedding venue, where Sira delivers her contraband of smuggled arms. 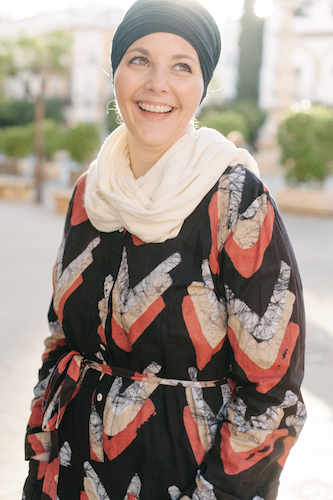 Guest author bio: Ingrid Truemper quit her software engineering job at 43 to devote herself to her passions for language learning, travel, and photography. Follow her adventures and misadventures at Second-Half Travels, or on Facebook and Instagram.